We know you love fishtail braids and sock buns (it only takes a second on Pinterest to confirm this) so we're pretty confident that you're going to love this braid bun blend. Now this look may be modeled on shiny straight hair, but we personally think this style would look even more whimsical on curly hair with a few loose tendrils and ringlets. 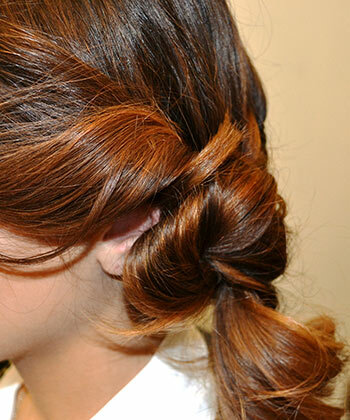 Plus, curls make for full, textured braids that actually stay in place! Mario Russo, owner & lead stylist of Salon Mario Russo in Boston shared his step-by-step instructions for this new look on your curly locks. Begin by detangling wet hair using a wide-tooth comb, then air dry for as long as possible. To save time and cut down on frizz, blow dry hair with a diffuser attachment. Part hair slightly off to the side and begin to French braid the hair starting from the temple of the side with less hair. 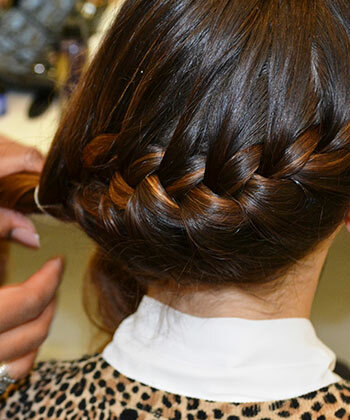 Continue to braid hair all the way around your head until you reach the spot just beneath the ear on the other side. 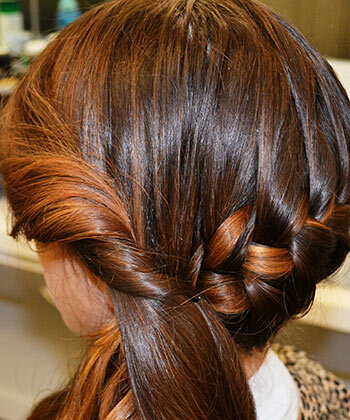 Once you have reached this point, tie the end of the braid with a clear elastic. Take the side of the hair that has not yet been braided, and form a loose twist over the ear. This is the ear that’s opposite the side of the head where you started your braid. 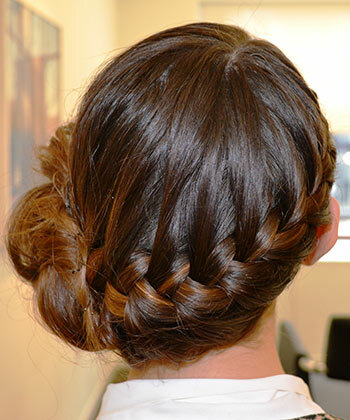 Begin to twist the loose curls and the end of the braid around each other to form a very loose side bun. Secure with bobby pins. The look should be very whimsical and loosely secured. 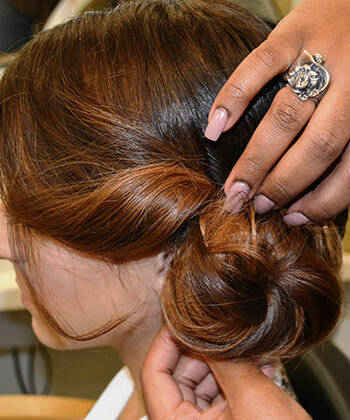 Fasten your bun with bobby pins and finish with shine hairspray like MoroccanOil Luminous Hairspray. If you try this look out yourself, be sure to tag us @NaturallyCurly on Instagram so we can see and share it!